Let’s admit it, we’ve all used our phone while driving before. In fact, most people can’t even get around without its built-in GPS. The fact of the matter is that it’s not your phone that poses a safety issue, but what you do on it while driving. 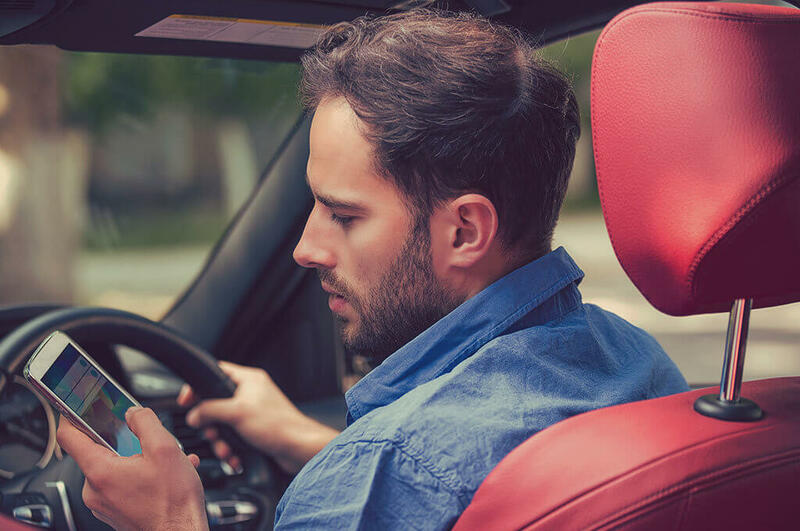 Text messaging and watching videos are an obvious no-no, but there are a number of apps out there that can enhance your trip without posing a safety risk, or can actually make driving even safer, like these three. Didn’t notice that the car in front of you stopped dead while you were checking your blind spot to change lanes? No matter how careful of a driver you are, it doesn’t hurt to have an extra eye on the road, looking out for you. That’s what iOnRoad is. This award-winning augmented reality driving app for Android and iOS uses the camera on your phone, along with GPS and the phone’s sensors, to monitor other vehicles on the road and provide you with audio-visual alerts when danger is detected. Scrolling to find that perfect playlist when you should be steering with both hands is a major safety hazard. Fortunately, now you can find it faster and without the fuss, thanks to Google Play Music, integrated with Android Auto. These two apps make accessing your favourite song, genre, artist or playlist a cinch, by talking to each other… and you. All you have to do is say “OK Google” and then ask it to play whatever it is you want to listen to. Texting while driving is by far the most dangerous instance of phone use in the car (though taking selfies mid-trip is catching up). It can be hard to fight the urge to be patient and wait until you’re parked to see what your crush replied after your last WhatsApp or that recruiter’s response after your meeting. So, don’t. Instead, get DriveSafe.ly for Android, which will read all your messages for you and allow you to send automated responses without touching your phone. Now all you need is a connected car that can keep up with your tech savvy lifestyle. Have you seen this month’s TATA specials?